I open my mouth as I start to speak. No one hears, but they can seek. What am I? 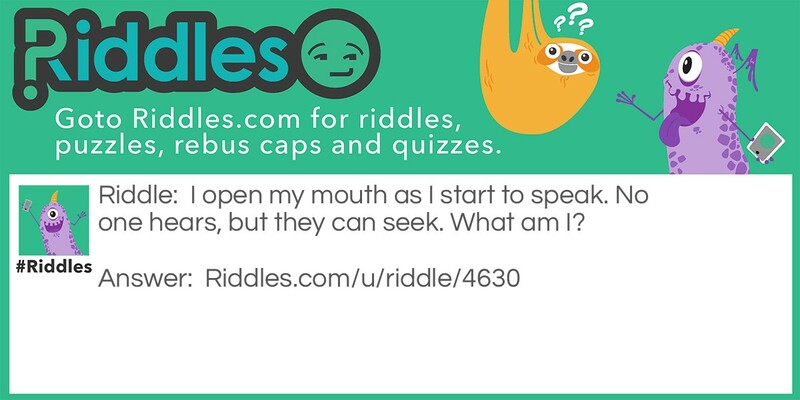 Speak Riddle Meme with riddle and answer page link.